Experience with individuals with disabilities? Can you walk for 45 minutes and jog short distances? Can you hold your arm above shoulder height and support a modest amount of weight? Please describe any disorders, medical conditions or injuries that may impact your ability to manage the physical and/or emotional demands of working in equine assisted activities. Volunteer responsibilities may include communicating with others, following directions, working independently, walking for extended periods of time, jogging short distances, working in hot/humid/cold conditions, working with clients who may have mild to severe mental and/or physical challenges, and working with large animals. Have you ever been charged or convicted of a crime? I authorize Maryland Therapeutic Riding to receive information from any law enforcement agency, including police departments and sheriff’s departments, of this state or any other state or federal government, to the extent permitted by state and federal law, pertaining to any convictions I may have had for violations of state or federal criminal laws, including but not limited to convictions for crimes committed upon children or animals. I understand that such access is for the purpose of considering my application as a volunteer, and that I expressly DO NOT authorize the PATH Intl. center, it’s directors, officers, employees, or other volunteers to disseminate this information in any way to any other individual, group, agency, organization, or corporation. Please print your name below. I understand that: 1) In the course of volunteering for MTR, I may be dealing with confidential information about MTR rider’s medical information and I agree to keep said information in the strictest confidence. 2) I need to ask staff permission prior to taking any pictures or videos. 3) The relationship between MTR and volunteers is an “at will” arrangement and it may be terminated at any time without cause by either the volunteer or MTR. 4) I am responsible for informing MTR of ALL changes regarding information contained in this application and for updating all paperwork annually. I affirm that I have read and understand this application and that the information given is true and complete. I also understand that in the event false information is provided, I may be terminated from my volunteer position. I recognize that horseback riding, assisting in riding lessons, caring for, and being in the near vicinity of, horses are high risk activities. I hereby agree that my involvement in such activities and/or my presence on MTR premises is at my own risk. I hereby release MTR, its officers, employees, volunteers and agents from any and all liability arising out of my participation in such activities and/or my presence on MTR premises (including costs and attorney’s fees) regardless of whether or not liability is premised on negligent actions or omissions of such released parties or otherwise. I hereby agree to indemnify and hold harmless MTR, its officers, employees, volunteers and agents from any and all suits, actions, claims of any type arising out of my involvement in such activities and/or my presence on MTR premises whether or not such suits, etc. are premised on negligent actions or omissions of such indemnified parties or otherwise. I have read this agreement and fully understand its contents. 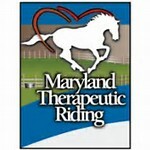 In the event emergency medical aid/treatment is required due to illness or injury while being on the property of the agency, I authorize the staff of Maryland Therapeutic Riding, Inc. to: 1. Secure and retain medical treatment and transportation if needed. 2. Release records upon request to the authorized individual or agency involved in the medical emergency treatment. This authorization includes x-ray, surgery, hospitalization, medication and any treatment procedure deemed “lifesaving” by the physician. This provision will only be invoked if the person(s) above is unable to be reached. I do not give my consent for emergency medical treatment/aid in the case of illness or injury while being on the property of the agency. Horse Care,Feeding, Cleaning Paddocks, etc. Special Skills Volunteer: If you have skills, technical or professional experience that may be beneficial to MTR we encourage you to share them with us. Please Indicate your Volunteer Availability. Your volunteer schedule will be arranged with the Volunteer Manager after Volunteer Orientation. Volunteers are encouraged to serve a minimum of 2 hours per week. How many days per week would you like to volunteer? In addition to your scheduled day and time, would you like to be on the Volunteer Substitute list? What is the best way to contact you for filling a substitute spot? Please do not solicit me for funds on behalf of MTR. Please do not include me on the MTR mail list for general information.